According to Brain Injury Alliance Colorado, more than 500,000 Colorado residents live with a brain injury. Unlike some injuries that heal overtime, damaged brain cells typically don’t recover. This can lead to a variety of problems including memory loss, physical disability or impairment, and poor general health. Nearly 2 million new brain injuries are suffered by Americans each year. 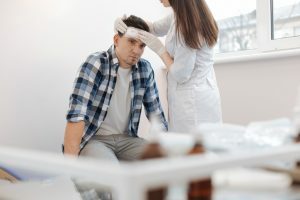 In this post, we take a closer look at brain injuries in Colorado and where victims can get help to pay for medical expenses, rehabilitation programs, and community support services. Brain injuries don’t discriminate by age, gender or race, and more than 500,000 Coloradans live with the effects of brain injuries. How Do Brain Injuries Happen in Colorado? Brain injuries are not like heredity conditions or congenital diseases. Instead, brain injuries are acquired through stroke, aneurysm, lack of oxygen, or from outside trauma, commonly known as traumatic brain injury (TBI). Brain injuries don’t discriminate based on age, gender, race, or economic status. Throughout some of Colorado’s most populous counties—Jefferson, Douglas, Arapahoe, Adams, Clear Creek, Denver, Broomfield, Boulder, and Gilpin—brain injuries affect males and females at approximately the same rate and there is little distinction in statewide brain injury rates by race, according to data published by Brain Injury Alliance Colorado. In Colorado, the ages most susceptible to traumatic incident are fairly consistent, with spikes in children between the ages of 0 and 4, teens ages 15 to 19, and adults over the age of 65. Brain injuries are often caused by external trauma to the head. According to MINDSOURCE, the state agency tasked with funding case management services for Colorado TBI survivors, 950 deaths, 5,200 hospitalizations, and 27,000 emergency department visits related to TBI occur in Colorado each year. Not unlike other states, falls and traffic accidents are the most common causes of brain injuries in Colorado. 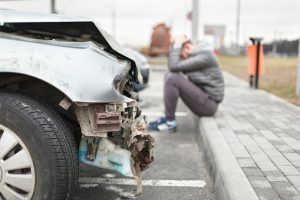 Recently, however, there’s been an uptick in accidents resulting in TBI linked to behavioral health conditions including substance abuse and mental illness. Brain injuries are categorized as mild, moderate, and severe. Mild brain injuries are often referred to as concussions. Concussions are minor brain injuries that don’t result in loss of consciousness. Conversely, moderate brain injuries may include loss of consciousness; and brain injuries that result in loss of consciousness for more than 24 hours are considered severe. Concussion: These mild brain injuries are caused by a sudden jolt or blow to the head or neck, which can cause the brain to move inside the skull, stretching, twisting, or tearing brain cells or nerves. Contusion: The force of an impact can cause the brain to bleed internally, and surgery is sometimes required. 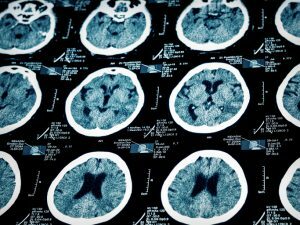 This brain injury is commonly the result of blunt force trauma from impact, injury, of physical assault. Diffuse axonal: Brain tissue can shift inside the skull and damage sensitive nerve tissue when the skull is shaken or rotated fast enough. This injury is typical in cases of shaken baby syndrome or T-bone car accidents. Penetration: Also called an “open head injury,” penetration injuries are wounds in which an object or projectile penetrates the cranium but does not exit the head. Penetration head injuries are serious and may require emergency surgery. Cerebral anoxia: Brain cells without oxygen begin to die after about four minutes. Since blood carries oxygen to the brain, several causes including drowning, choking, and exposure to toxic fumes like carbon monoxide can impede blood flow and cause this type of brain injury. Mild brain injuries typically resolve on their own within a few weeks. However, certain physical activities like working out may be limited to promote recovery. Moderate to severe brain injuries will require more time to heal and may also include surgery or other medical treatment. Car accidents are one of the most common causes of brain injuries in Colorado and nationwide. The effects of a brain injury can impact physical and cognitive abilities alike. Each patient is treated on a case-by-case basis since every injury is unique. Executive brain function may be restricted or completely shut down when a brain injury is severe. This could affect a victim’s ability to have “normal” social interactions, hold down a job, or learn new skills. A person’s mood or behavior is also vulnerable to brain injuries. Family members and survivors report irritability, depression, and lack of motivation are common. With training and therapy, an injury victim may be able to reduce the impact of some of these emotional and behavioral challenges. Not surprisingly, this impacts a victim’s ability to work and preserve a standard of living. With this in mind, we wanted to highlight local programs that strive to help. The short and long-term effects of a brain injury can have far-reaching implications for survivors and family members. Thankfully, Colorado has several programs available to aid survivors, friends, and family with everything from medical expenses to community reintegration. BrainCare is a recovery program available at Rocky Mountain Health Care Services in Colorado Springs. This recovery program focuses on cognitive rehabilitation and preparing survivors for independent living. The Brain and Behavioral Clinic in Denver is a comprehensive neuropsychological practice offering expert diagnostic, assessment, treatment, and consulting services to survivors of all ages. Craig Hospital in Englewood is a leader in rehabilitation and outpatient treatment. This program features an interdisciplinary team of experts specialized in youth and adult TBIs. Brain Injury Alliance of Colorado is a useful information portal with resources covering a range of needs from obtaining legal counsel to survivor support groups. These organizations and more are part of the Colorado Brain Injury Collaborative, a lifeline for victims and families struggling to adjust after a traumatic brain injury. Depending on the circumstances, survivors and family members may also benefit from speaking with a Colorado personal injury attorney. Compensation may be available to pay for medical care, rehabilitation, ongoing therapy, as well as pain and suffering. If you or a loved one suffered a brain injury that was caused by another’s negligence, please call The Frickey Law Firm at 303- 237-7373 or contact us online to schedule your free consultation.